I'm always looking for natural ways to help my health. So when I heard about All Natural Ginger Tummydrops by Enteral Health and Nutrition, I wanted to learn more. Ginger has often been used not just for delicious stir-fries and gingerbread, but also as a natural medicine for occasional nausea and vomitting. When Enteral Health began formulating their drops, they started by carefully selecting a natural and potent source of gingerol. Next, they added premium natural ingredients to complement the natural taste of the ginger. The result is an easy to carry, great tasting drop that you can take anywhere for when you've overeaten, gotten a hangover, or become sick while traveling. During the holidays, I had an upset stomach. Rather than use an expensive over-the counter medicine, I gave the ginger drops a try. First of all, they are yummy and all-natural! Their ingredients include brown rice syrup, dried cane syrup, natural color from beet, natural ginger powder, and other natural flavors. I loved the ginger flavor, and they weren't too sweet. And they worked for me. I definitely felt some relief after having one. It wasn't a cure-all - only time would help with that - but it definitely made me feel more comfortable. So I'd definitely recommend them over an expensive medicine! Would you like to try All Natural Ginger Tummydrops? They're available at Amazon.com. You can learn more at the Enteral Health and Nutrition website. Or become a fan on Facebook or follow on Twitter. If you'd like a free sample, you can post a video to your Facebook page explaining why Tummydrops might be a help for you or a family member while linking Enteral Health in your post (http://www.facebook.com/enteralhealth), and Enteral Health will send you a free sample. Or would you like to win a bag of 30 Tummydrops? Frugal Follies is hosting a giveaway for one free bag of 30 Ginger Tummydrops! To enter the giveaway, use the Rafflecopter below! The giveaway is open to US residents 18 and older. The giveaway ends on Wednesday, January 30, 2013, at 11:59 pm EST. 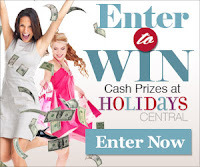 If you are the winner, Frugal Follies will contact you via the Rafflecopter email you have provided. If you do not respond within 48 hours, you will be ruled ineligible to win the prize, and another winner will be chosen. This promotion is in no way sponsored, endorsed or administered by, or associated with, Facebook. I love that their also available in Peppermint! I learned they're great for morning sickness! I love that these are a natural alternative to anti nausea medications! I have been put on prescription anti nausea medications before, and they always make you pass out... I love that these would help the nausea, but let you continue with your day. 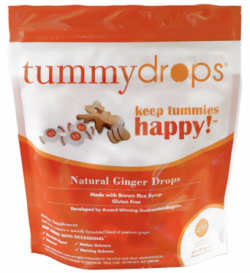 Tuumy drops are made with a natural and potent Gingerol and are good for morning sickness too. Ginger Tummy Drops were developed and tested by physicians who specialize in nausea to ensure that they would act fast & be effective. They are made from real ginger! Never heard of these, didn't know ginger could help with that. I've been drinking Ginger Tea. Drops would be so much easier. They are completely natural, unlike many products designed to help calm an upset stomach and soothe nausea.